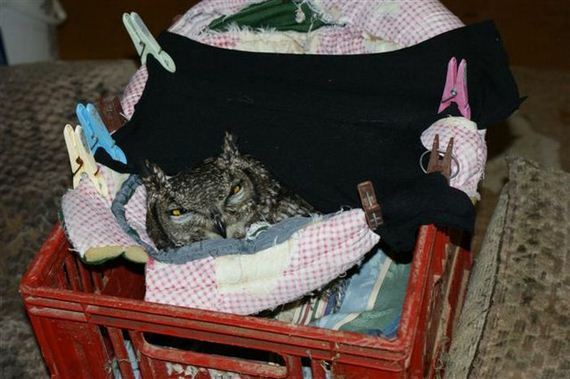 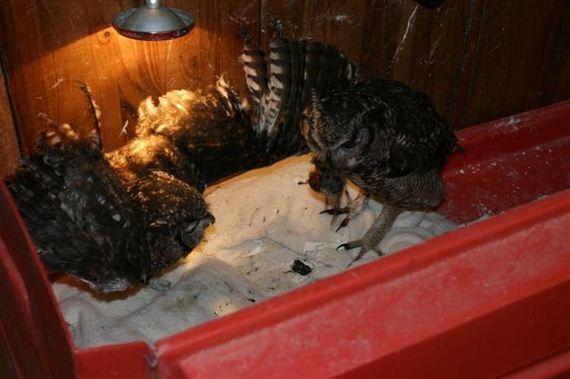 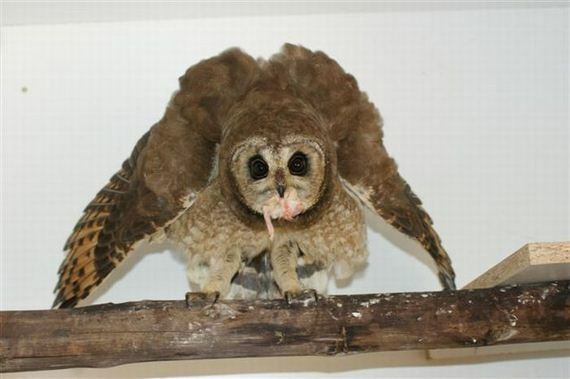 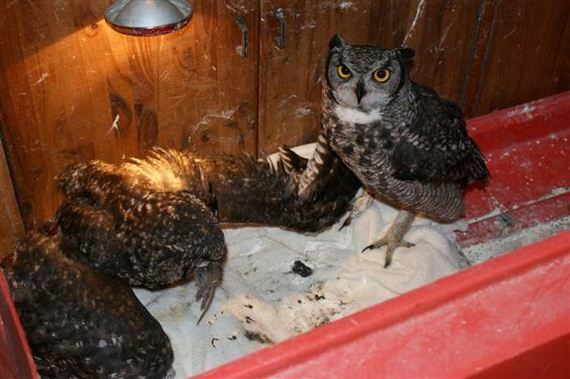 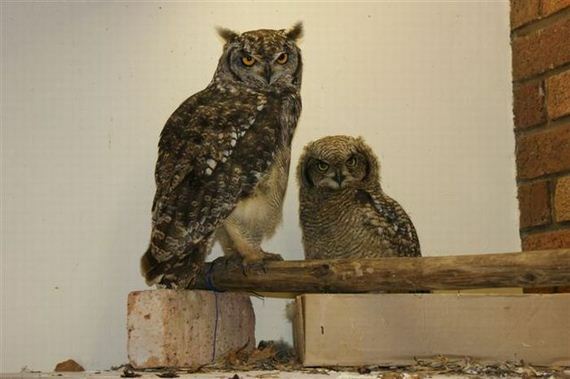 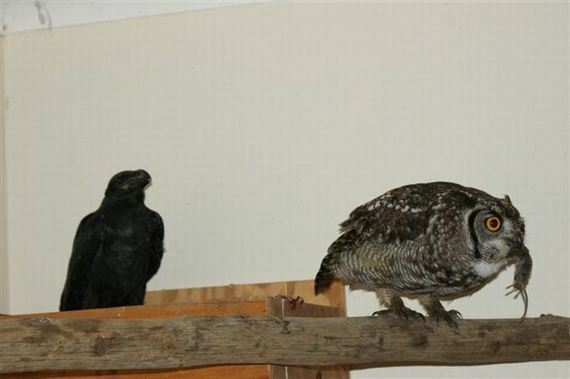 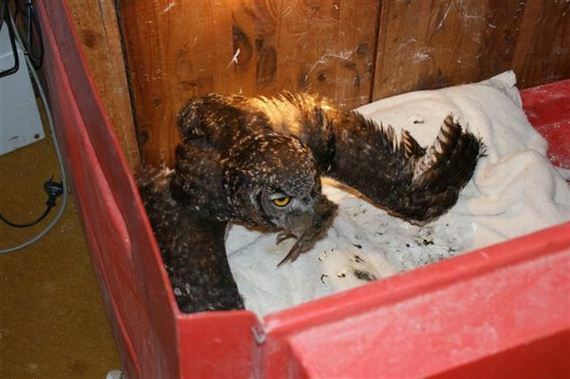 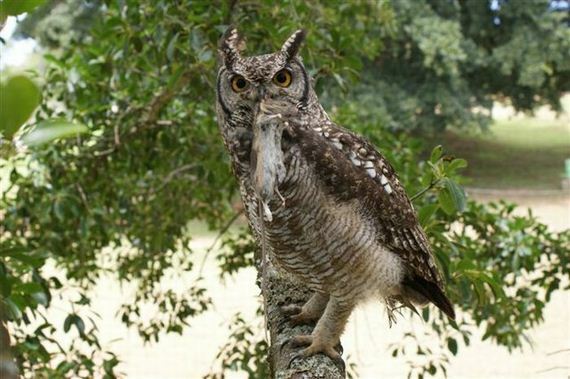 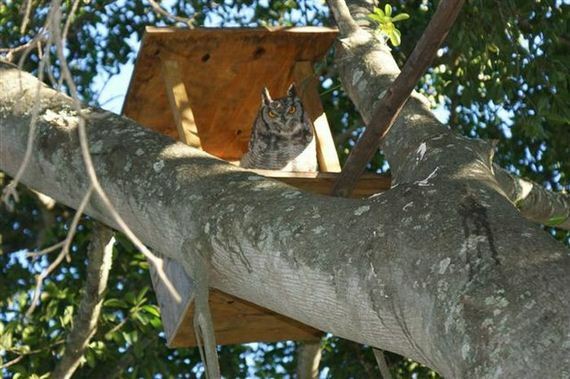 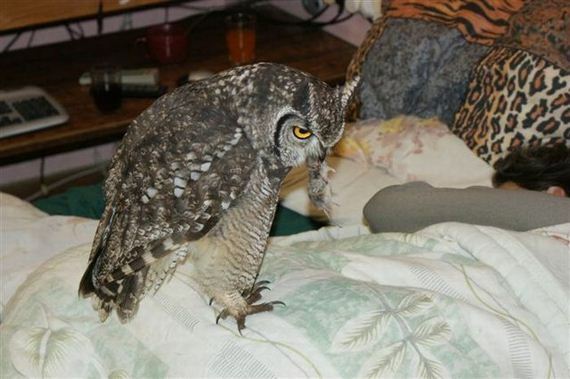 4 years ago a man from South Africa saved an eagle owl that was injured. 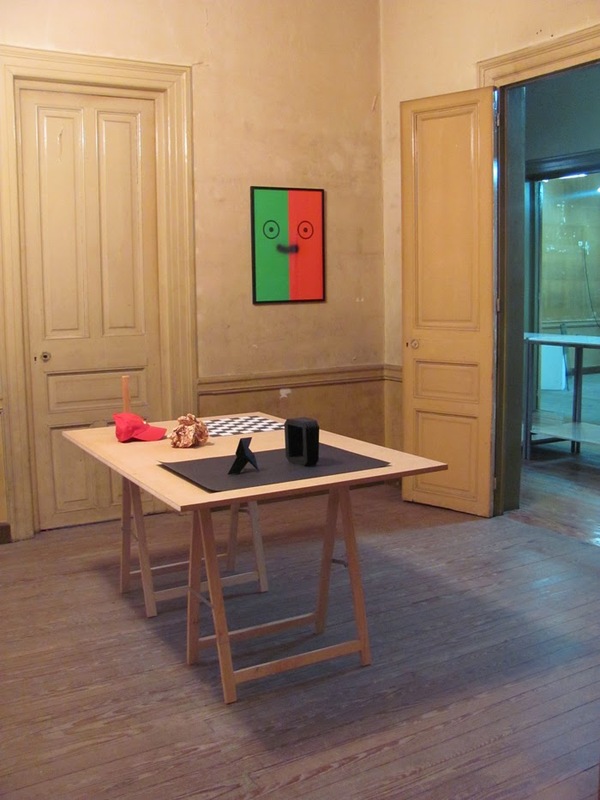 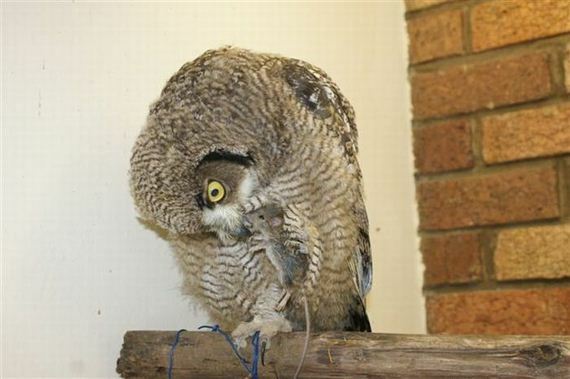 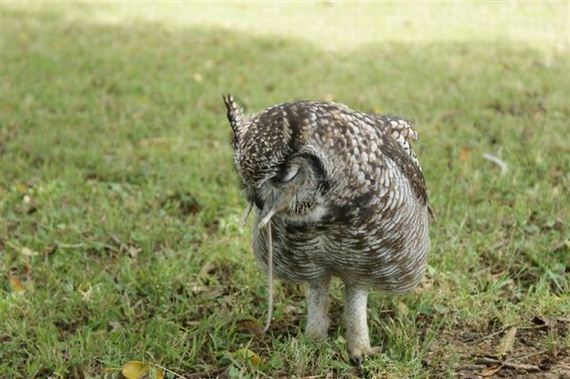 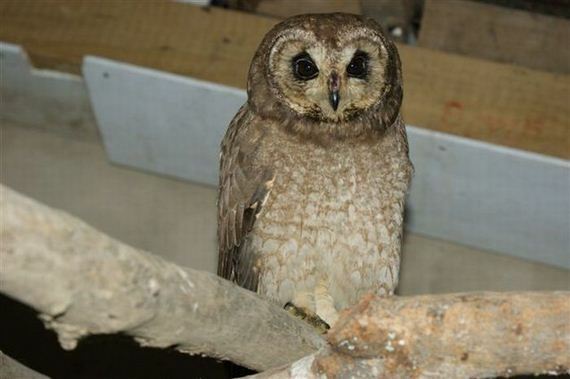 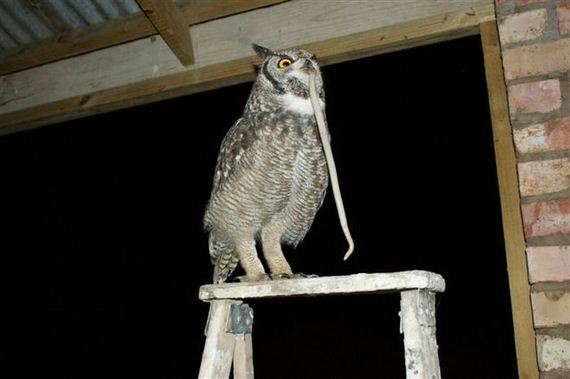 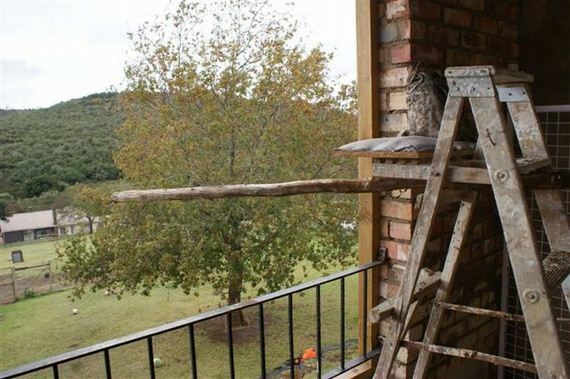 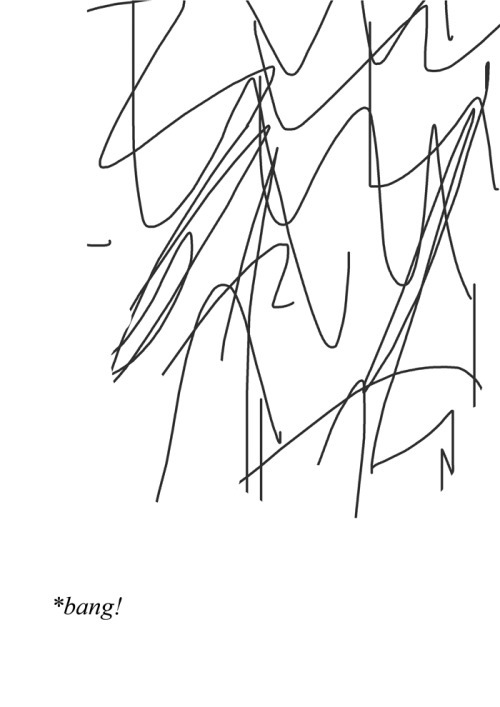 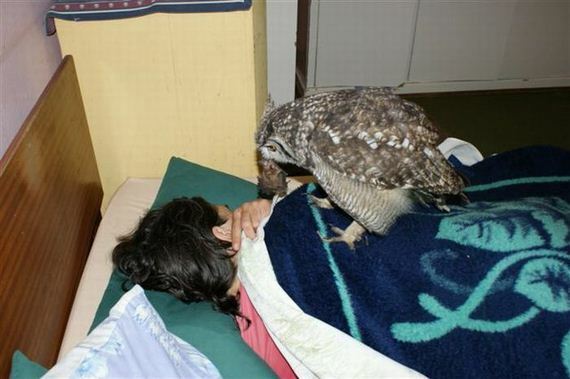 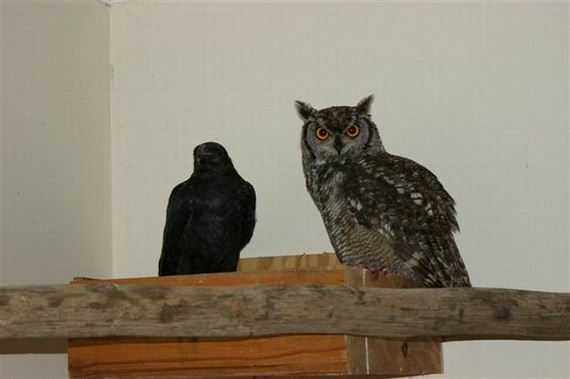 The owl stayed in the man’s house for two months. 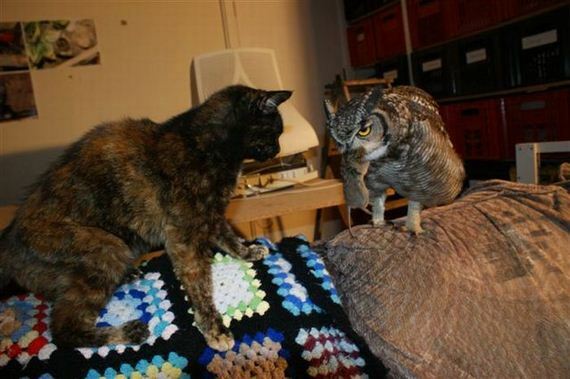 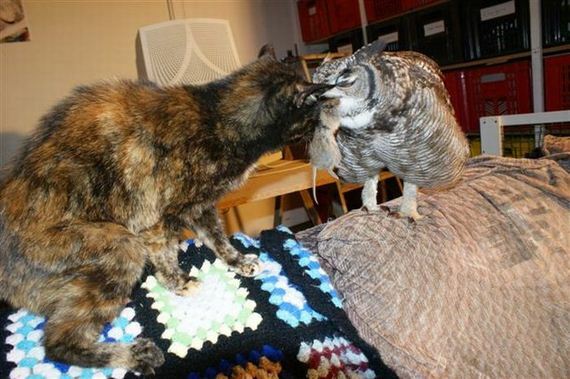 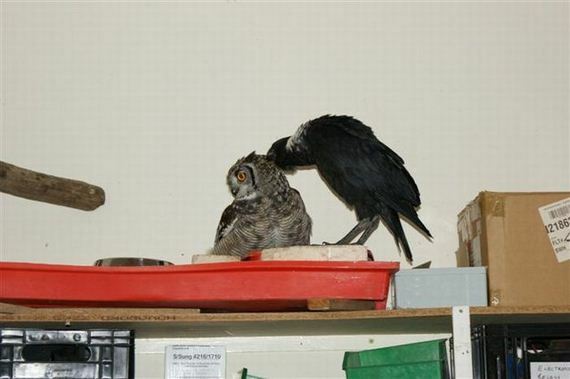 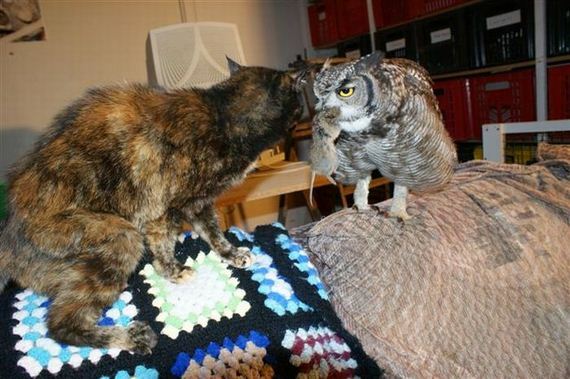 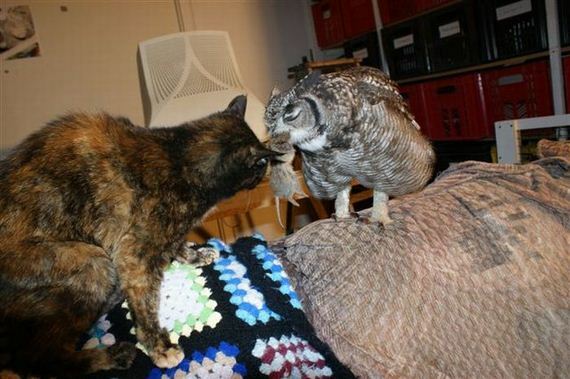 An old cat made friend with the owl. 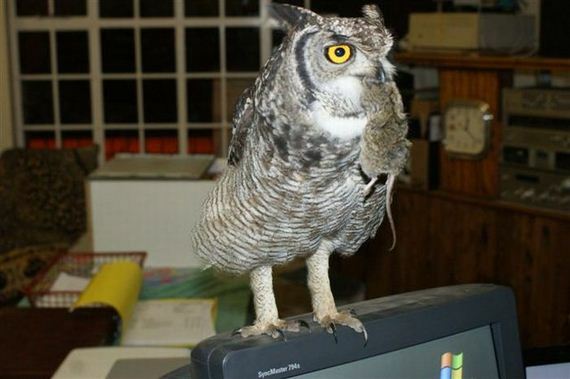 After the bird was ok it left the house but regularly comes back to see the cat bringing her presents like mice and rats.